Various women experience joint pain during pregnancy. This means that these women feel soreness, stiffness or pain in the places where the body bends. One of the causes of the problem is that during pregnancy women gain weight that puts pressure on the joints. This is the case of the heels and the knees and the problem is a lot more visible during your first pregnancy. If you like to exercise, the joints could start hurting because of overuse. Another condition that you should know about is Carpal tunnel syndrome. In this case, besides weight gain women also have to fight with fluid retention. This puts more pressure on the wrists. As a result you will feel pain in your hands and wrists. If you experience joint pain while being pregnant it is possible that you are affected by hypothyroidism. The good news is that normally women are screened for this condition at the beginning of their pregnancy. This means that if you were affected, you knew it by now. If the problem is noticed at early stages it doesn’t cause any complications. A lot of women having this kind of health issue delivered healthy babies. If you experience pregnancy joint pain you shouldn’t be alarmed and it is enough to mention it to your doctor during the next checkup. You should mention it to your doctor if you have some serious injury. It is also important to see your health care provider if you were around someone with parvovirus. 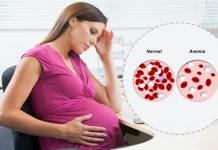 This is because there are some birth defects that can be associated with this virus especially if you are exposed to it during the first trimester. The majority of the adults are immune to it because they were exposed during their childhood. 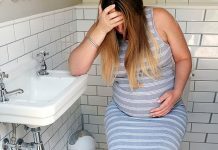 Next articlePlus Size Maternity Clothes – How to Get and Wear Them?